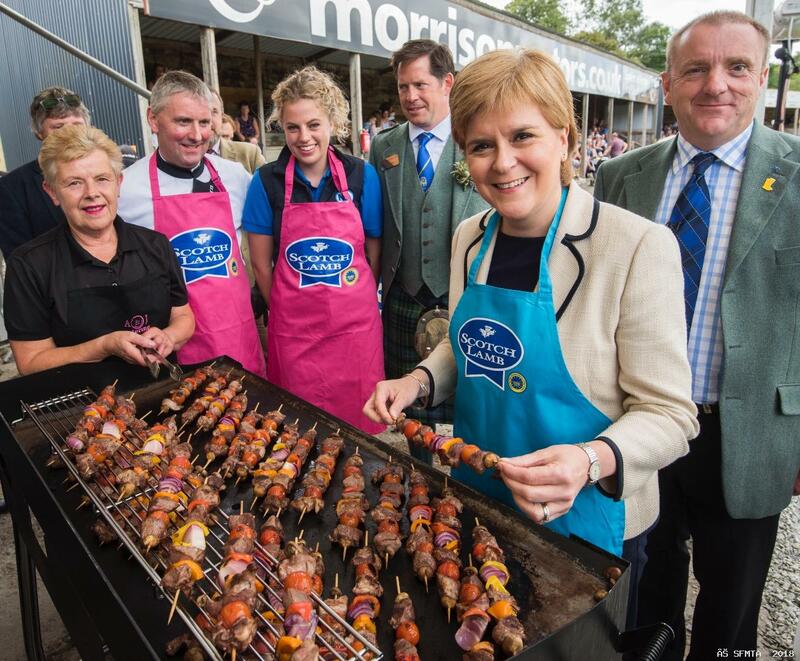 First Minister Nicola Sturgeon has announced £200,000 of new funding to support Quality Meat Scotland’s 2018 Scotch Lamb PGI promotional campaign. First Minister Nicola Sturgeon with Jim McLaren MBE, QMS Chairman and (LtoR) Martin Kennedy, NFU Scotland; Sarah Mackie, QMS Board; John Fyall, Chairman of National Sheep Association Scotland (NSA); John Sleigh, President Turriff Show; Zoey Symington, National Sheep Association Scotland (NSA) Next Generation Young Ambassador; Charles Raeburn, Owner of Forbes Raeburn Butchers and Son in Huntly; and Jennifer Durno, AJ Catering. 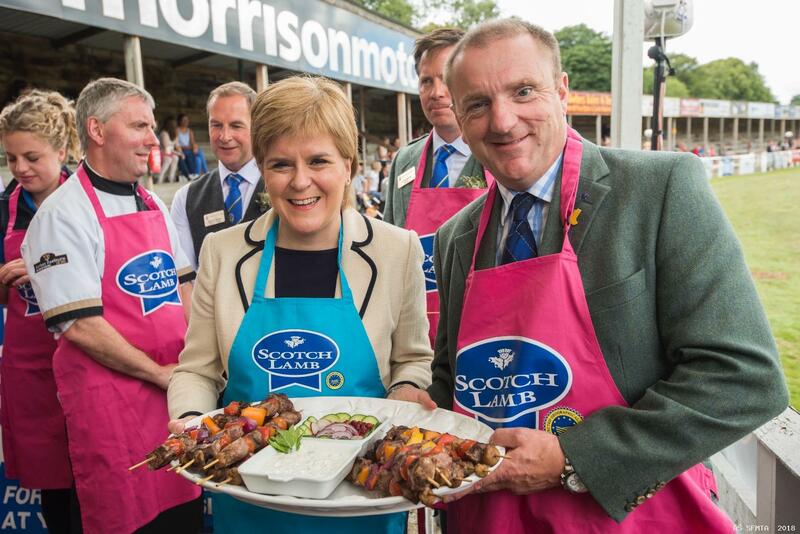 "Today`s announcement by the First Minister is fantastic news for the Scottish sheep industry and it`s a great boost for our producers. 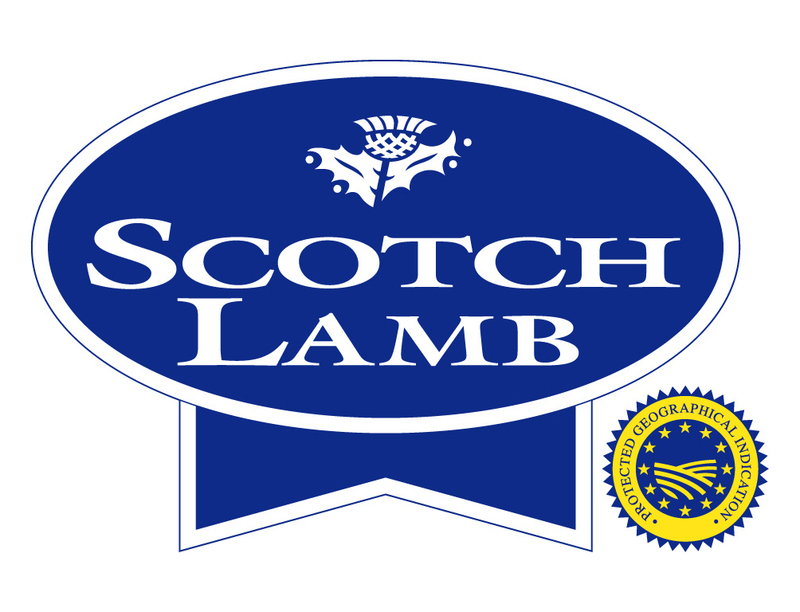 "The eight-week campaign will spread the word to Scottish consumers about the quality, taste and versatility of Scotch Lamb - the perfect mid-week meal." 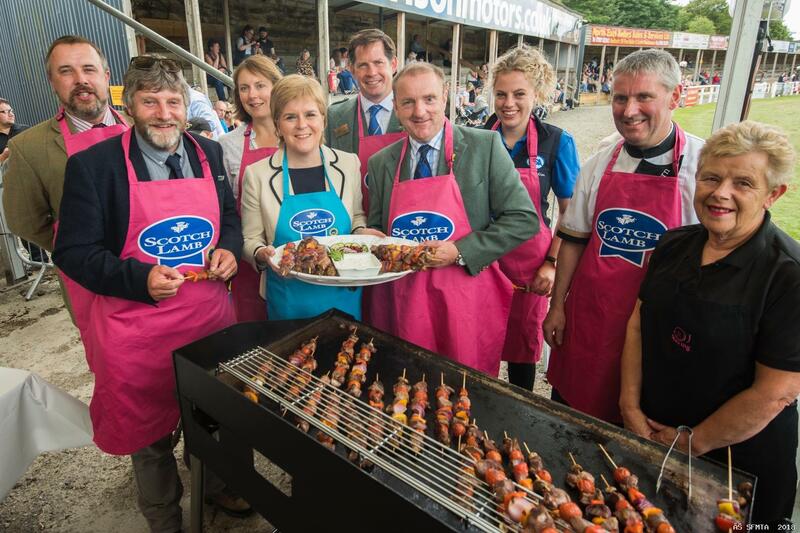 First Minister Nicola Sturgeon with (LtoR) Jennifer Durno, AJ Catering; Charles Raeburn, Forbes Raeburn and Son Butchers in Huntly; Zoey Symington National Sheep Association Scotland (NSA) Next Generation Young Ambassador; John Sleigh Turriff Show President and Jim McLaren MBE, QMS Chairman.